Who Is Scott, Gypsy's First Boyfriend on 'The Act'? 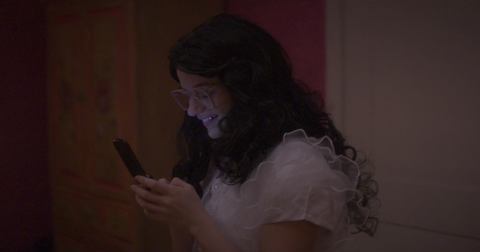 We are low-key living for Hulu's new series, The Act, the fictionalized drama based on the true story of Gypsy Rose Blanchard. And it isn't just that the real story is so bizarre we can't look away; The Act, which is co-created by Michelle Dean, the writer to whom the Blanchards owe their fame, is so well done and so well cast, it might be the best show of 2019 so far. While the first two episodes of the series mainly served as an expositional setup for viewers to understand the torment Dee Dee (played by the show-stopping Patricia Arquette) put Gypsy Rose (a stunning Joey King) through, the latest episode, entitled "Two Wolverines," starts to give us a glimpse into the mind of the girl who would later go on to murder her mother. 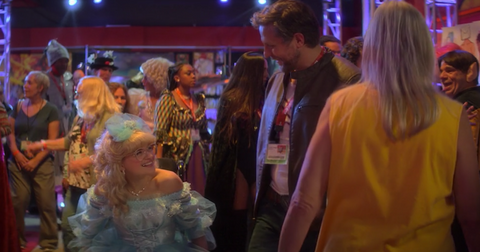 This episode, we get to see the beginnings of wheelchair-bound-but-actually-able-bodied Gypsy Rose's budding sexuality, as her mother takes her to a sci-fi convention where she becomes obsessed and infatuated with a man (Joe Tippett) dressed up as Wolverine. During a few moments when her mother is herself being courted by another Wolverine (hence the title) — played by Breaking Bad's Dean Norris, who is unrecognizable in cosplay, by the way — Gypsy Rose manages to slip away and forge a friendship with her crush, Scott. During the episode, we watch as an increasingly obstinate Gypsy Rose goes behind her mother's back to make her own Facebook account and buy a burner phone to communicate with Scott. She even manages to uncover her real age and birthdate (July 21, 1991) by looking through Dee Dee's wallet, and eventually attempts to run off with her very own Wolverine. "Dear Mom," she writes in her runaway letter before Dee Dee botches her plan only hours after. "I am in love and running away to get married and have kids and there's nothing you can do to stop me. 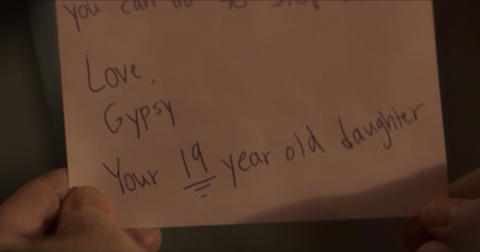 Love, Gypsy, your 19-year-old daughter." Few things are stronger than teenage sexuality and rampant hormones, and we're glad this episode was able to give us a glimpse into the mind of Gypsy Rose. But just how much of this story of her Wolverine boyfriend actually happened, and how much of Scott was created for Hulu? Scott isn't the boyfriend who killed Dee Dee, but he is based on a real person. First of all, it's important to remember that this first boyfriend of Gypsy's is not the same guy she later met on a Christian dating site and got to kill her mother. That's Nicholas Godejohn, with whom Gypsy had an online relationship that she hid from Dee Dee for years. 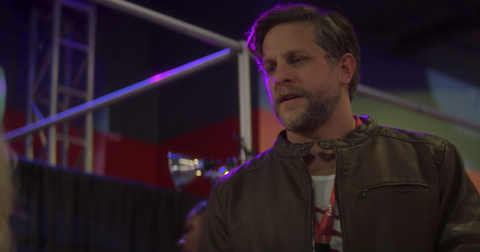 However, Scott is based on a real person, though it's unclear if his real name is Scott or if he was really dressed up as Wolverine. The two did in fact meet at a sci-fi convention, and as Michelle Dean writes, shortly after meeting, "Gypsy and this man began communicating online." "At the time, in February 2011, Gypsy and Dee Dee were leaving everyone with the impression that she was 15. (She was actually 19) ... the man in question was 35. He took Gypsy back to his hotel room. Through conventioneer intelligence ... Dee Dee found them. She apparently knocked on the hotel room door with papers that showed Gypsy was a minor, and the man let Gypsy leave," according to the BuzzFeed story The Act is based on. 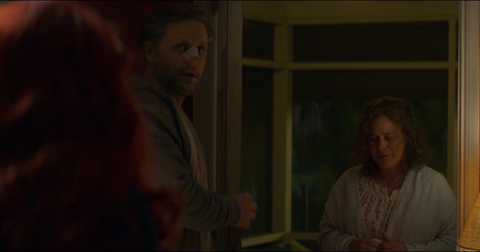 In the show, we get to watch Gypsy communicate with Scott after the convention, via Facebook and text, and we see her run away (on foot) to take care of him one late night when he tells her he's in the ER. Dee Dee wakes up in the middle of the night to realize Gypsy has gone missing, and after putting the pieces together of her infatuation with Scott, shows up at his doorstep to bring her home. Gypsy Rose's runaway attempt caused Dee Dee to double down. Dee Dee, in the show and according to the real-life accounts, tells the man that Gypsy is underage (she isn't), which leads him to back off immediately. But this incident in particular is quite meaningful in Gypsy's story, because Dee Dee's attitude toward Gypsy changed dramatically after she brought her home from this runaway attempt. "Dee Dee was furious to the point of public spectacle," per the BuzzFeed article, which also mentions that she took a hammer to the computer Gypsy Rose used to chat with the man. Gypsy Rose herself said in an interview with ABC News that, following her botched escape, Dee Dee "physically chained me to the bed and put bells on the doors and told ... anybody that I probably would've trusted that I was going through a phase and to tell her if I was doing anything behind her back." With tensions mounting in an already very tense household, we already can't wait to see what next week has in store. New episodes of The Act are available on Wednesdays on Hulu.